Prominent & Leading Manufacturer from Ahmedabad, we offer dynamic pass boxes, dynamic pass box, static pass box and hepa filter housing boxes. 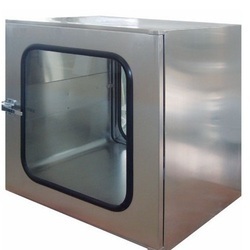 Our Dynamic Pass box is designed to minimize contamination into the clean room and they are extensively used in biotechnology, tissue culture, botany, life sciences, hospitals, chemical industry and many more. The Dynamic Pass Box equipment help in prevention of contaminants entrance either in the clean room or between various classified areas. 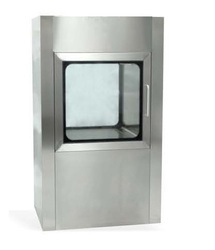 They are accessible at most economical prices and are available with a variety of standard dimensions. Moreover it is easy to install and adaptable to different working conditions. Our pass box specifications and usages for various pharmaceutical industries etc. Owing to the presence of our expert team members, we have been able to offer a wide range of Dynamic Pass Box. Backed by the team of experienced professionals, we are able to manufacture and supply precision engineered Static Pass Box. 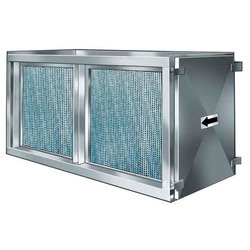 We have emerged ourselves as a leading manufacturer and supplier of HEPA Filter Housing Boxes.